Welcome to the Nord Modular and Micro Modular 'tips and tricks' section! The workshops of this section are created by two very skilled Nord Modular users: Rob Hordijk and Roland Kuit. 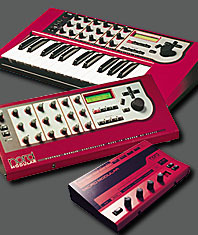 Music created in part or in whole with the Clavia Nord Modular by musicians around the world. there is a lot of discussion on the NM mailing lists about Clavia not offering the G2 patch editor program on the Apple operating system, OSX. There are a lot of great musicians that won't touch the G2 because of this unfortunate limitation. I thought those Clavia-guys were smarter. It's a stoopid move! OSX is here to stay!!!!!!!!!!!!!!!!!!! Yup... bad bad bad move. They should even make an OS 9 version too, The editor does not really demand much CPU power and if they use realbasic for both the x and 9 version they can pretty much save the 9 version as an option in realbasic. having a 9 version would be great because guys like me have stacks of old macs all over the place. My initial idea was getting some Nord Modulars and or micros and build those into flight cases complete with macs and some monitors. mosc wrote: What competent software developer writes platform specific code thesedays? "What OS manufacturer distributes a new version of their OS that requires all the audio application developers to rewrite their software?" Well.. frankly... those are good points.. but also completely irrelevant.. When it comes to Microsoft.. keeping the compatibility is just stupid.. sooner or later the vendor has to get past backwards compatibility in order to achieve a real improvement. Improved hardware will also sooner or later mean that some software breaks the apps for the OS. When it comes to Apple.. OS X is not Mac OS.. it is UNIX. True. I think OSX is a big step forward for Apple. Also, having an OSX editor for the G2 isn't the main point of my article. I hold out hope tha Clavia with eventually support the G2 on OSX. Before anyone gets excited; no, I have no inside information. I just base this hope on my belief that the Claiva guys are really smart. 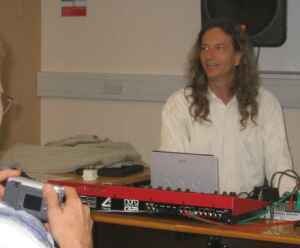 My name's Dave Pape - I'm an electronic musician in South London, UK and I own 4 Nord Micromodulars. I bought one to try it out and got addicted - I especially love the analogue ins, so was always happy buying up Micros rather than shelling out for a full Modular. The following was posted by Rob Hordijk on the NM mailing list. about clockrate, it is what a programmer does with the extra speed. for, sympathetic for grandma but hell for us. paid for good quality virtual analog and an extra price for modularity. multimode has new modes added. as many times only one or two are used. more outputs, like the eight output switches, muxes and counters. these numbers are 100%, 50%, 33.3%, 25%, 20%, 16.6%, 14.2%, 12.5%, etc. morphs always have the priority. magick numbers and it is easy to see how much polyphony will be available. softsynth, just as that works in a completely different way. it is quite a progress and for me personally definitely worth the money. Thanks for that - I had a look through the NM list archive but missed Rob's post. It's a pity, with Moore's law and everything, I was kind of hoping for a number nearer to 8 than 1.5 - 2, but there y'go. Everyone seems to be hammering the point about the control surface so maybe what I need is to sit down with one and have a play. 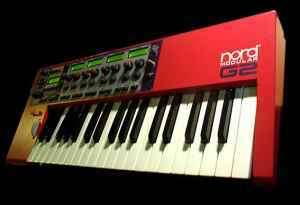 and I own 4 Nord Micromodulars. I bought one to try it out and got addicted - I especially love the analogue ins, so was always happy buying up Micros rather than shelling out for a full Modular. And this is is yours: http://www.museumoftechno.org/ ? No no! The Museum of Techno's a real museum!!!! In this extract, written in the summer of 1894, Franklin describes being woken early one Sunday morning by two of his colleagues, who were very excited by their experiences of the previous evening. The picture (right) shows detail of Hoovenaars's steam-powered drum machine. It is printed with the kind permission of the Estate of Aafke van Hoovernaars. memoid should possibly make a post in the "introduce yourself" spot? Like your under-promotion quote E80, that's like my personal motto! I will get it asap! 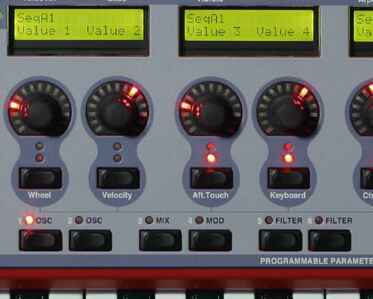 A must have for me and the one and only synth that makes all the noises in one machine and it does it realy good I think! G2 examples convinced me at least! Still I think they should have done one more tiny little update to the old and more or less crapy software for the Modular 1 well I use 3.03 and it's a little dissapoiting that it ended like this, one more reason to get that new monster ! i'm still dieing to get my hands on one of these G2's. i wanted to get one back in 2004 but they were quite expensive then. i suppose that it's been 5 years since they were first released, so they must be much cheaper now - and they still rock! does anyone have any idea how much a second hand G2 should cost today? I brought a G2 Engine (the 1U rack version) brand new for £500 GBP, and it was an absolute bargain. I lost out on the G2 User Interface, but as I was already carrying many keyboards about I didn't want another one. Here in Spain second hand modulars are very cheap. I bought my first G2 engine for 650 euros, then I had it on sale for months, until I sold it for only 550 euros (not pouns!). Recently I have seen a G2 on sale for only 950 euros.